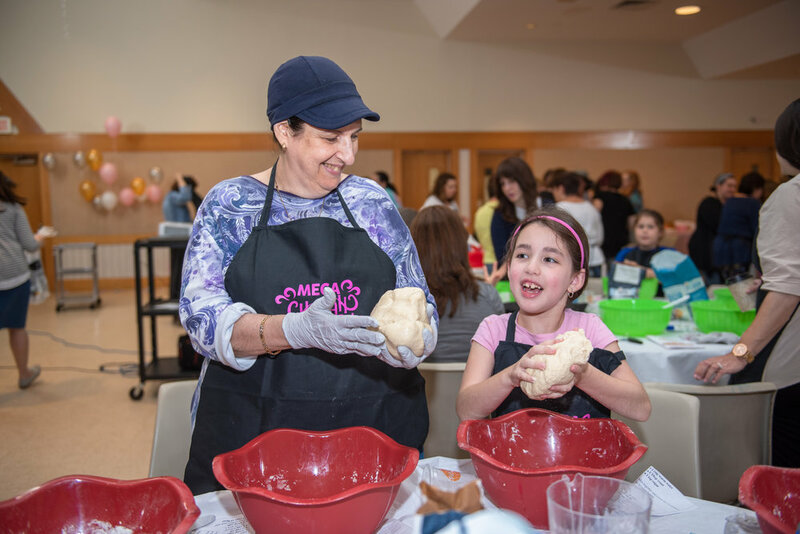 Rachel Morales (right), of East Longmeadow, MA, helps her 'bubbe' Bredine Pennington, of Springfield, as the two make Challah Wednesday night at the Mega Challah Bake sponsored by Chabad Women's Circle of Longmeadow. The 'I love you' tattoo caught my eye as I watched her tenderness with her 80-year-old grandmother, who converted to Judaism in her 40s after a long spiritual journey. 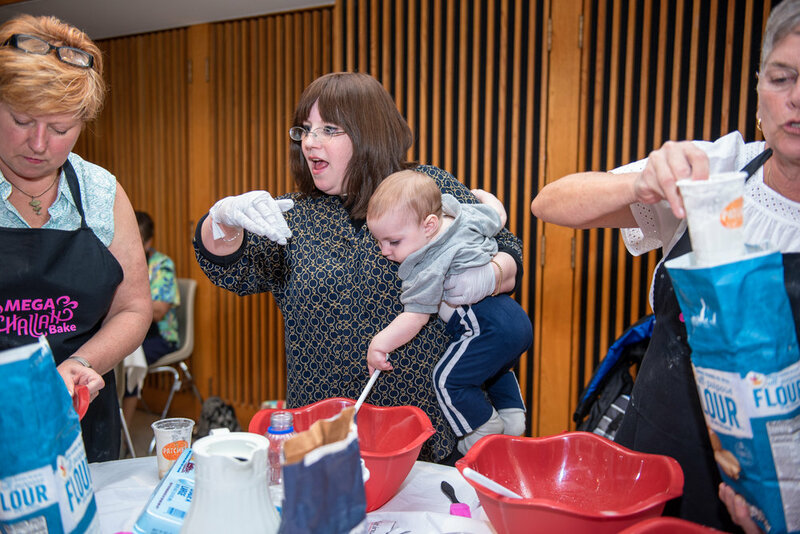 The event drew 120 women to the Jewish Community Center, some who'd been baking challah all their lives, others who were trying it for the first time. It's no secret that I have a deep love for the work that Chabad does, and am always moved by the love I feel at the events and holiday celebrations they throw for the community. It's not a lifestyle I embrace personally, or fully understand, but there's a warmth that is beautiful and a deep, mystical understanding of ritual, relationships and our purpose in life that has shaped my own Judaism. 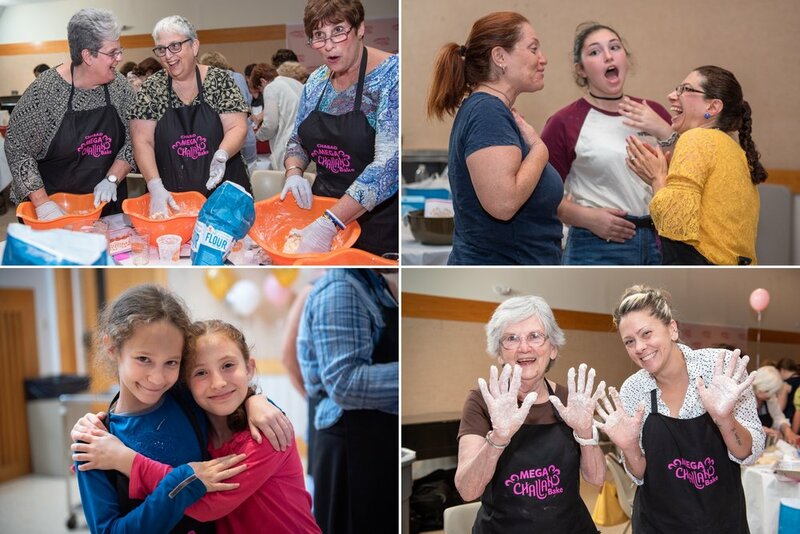 On Wednesday night, 120 women and girls - sisters, mothers, daughters, friends, some religious, some secular - got together for a Mega Challah Bake at the JCC in Springfield. Challah, for those who are not familiar, is the braided bread Jewish families eat on Shabbat and on holidays. To smell it cooking in your own oven as the skies darken on Friday night is pretty amazing. To watch the hands of grandmothers and granddaughters working side by side, helping each other with each step of the mixing, kneading and braiding touched my heart. Even the only boy at the event got into the act!! Some dusted their challahs with egg and poppy seeds, others went for cinnamon and raisins, and a few for a more savory mix of zatar and crispy onion bits. 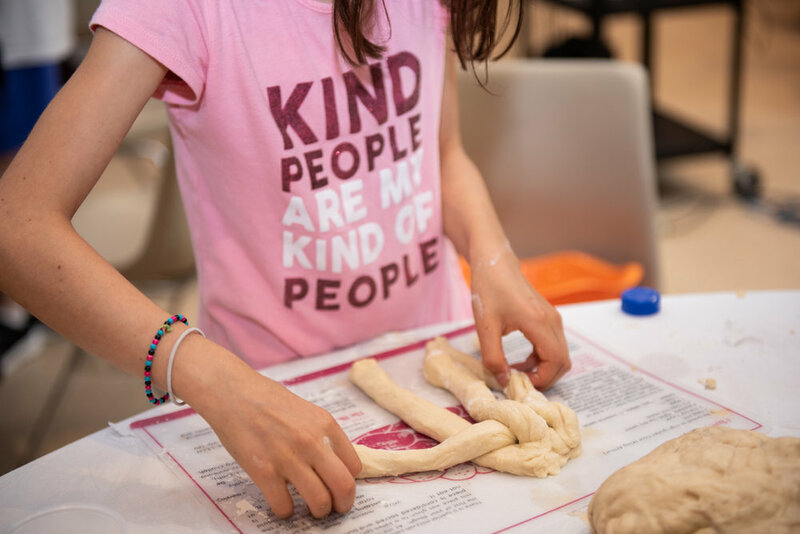 Some made three braids, others six, others made round holidays traditional for Rosh Hashanah, the Jewish New Year that starts the evening of September 9th. As a photographer of Jewish rituals, I am easily moved by how the simplest of things, like baking bread, has so much more meaning when done with friends, sisters, mothers, daughters and grandmothers. Connection makes everything richer. In the chaos of modern life, to carve out time for each other is part of this season's work of reflection and 'teshuvah.' It's what I've always gained from Chabad classes and events - spiritual food for the hunger I feel for wholeness, balance and purpose, alone and in community. How easy it is to lose this focus in the frenzy of living and working, and how lucky we are that the High Holidays come around every year to allow us to look at where we've 'missed the mark' in the year ending and explore where we want to make changes in the New Year. "When bubbe calls," says Rachel Morales (right), we all come to celebrate what's important to her, even when our lives are crazy busy. We're close, really close." The three generations of women had a blast together. From l-r: Allisa Duffany, of Wilbraham, Kim Duffany of Wilbraham, Bredine Pennington, of Springfield, and Morales, of East Longmeadow. Young and old, a great time was had by all!! L'shana Tova.